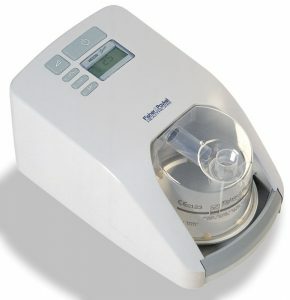 A Home Oxygen Concentrator is a unique device which helps to concenter room air into pure, medical grade oxygen for therapeutic uses. Today’s advanced technology home oxygen concentrators are designed to be quiet, lightweight and extremely energy efficient. Patients who depend on constant medical grade oxygen for breathing will benefit greatly from the purchase of a home o2 concentrator. Both medical devices operate primarily in the same way. These concentrators will pull the air from the room, process it and deliver pure, high oxygen concentration air for therapeutic uses. After the concentrator pulls the air inward, it will filter it through a unique mechanism to remove Nitrogen concentration and then deliver high-quality therapeutic oxygen. The main difference between the two devices is that a POC – Portable Oxygen Concentrator is more compact, and the patient can use it both at home and while traveling. A home oxygen concentrator does not require any oxygen tank refills or containers to work. 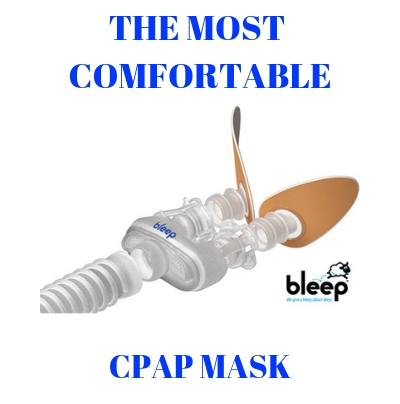 The device will make use of the ambient air to pull it inward, filter it and then deliver medical grade, concentrated oxygen for your therapeutic needs. A home oxygen concentrator is a modern, advanced technology therapeutic device that works pretty much like an air conditioning unit. You don’t have to carry around heavy and bulky tanks of oxygen, and as you might know, an oxygen tank takes a limited amount of oxygen. On the other hand, a home oxygen concentrator does provide you with oxygen therapy just for as long as you need. – Home oxygen concentrators are much safer than oxygen tanks – The large oxygen tanks were used for several decades in the past as the best option for oxygen therapy patients. Nowadays, the Home OXYGEN Concentrators and POC or Portable Oxygen Concentrators represent the best choice. Oxygen tanks are exposed to the risk of leakage, while Home Concentrators do not face such risks. When leaks occur, flammability concerns are increased, and with an HOC this will never happen because the device produces oxygen on demand delivering it through the nasal cannula safely and conveniently. – Compact size – an in home oxygen generator is designed for practical use and comfort. Such a concentrator is typically lightweight and compact, unlike an oxygen tank that is bulky and cumbersome to carry around. Patients looking for the best portability will certainly take advantage of the compact and easy to use home oxygen concentrators. – Reduced cost – when we talk about oxygen tanks, we talk about always incurring costs (buying new oxygen tanks when the supply runs out). With a Home Oxygen Concentrator, you perform one single payment, and that is when you purchase the device. From there on, the concentrator will supply you with unlimited oxygen therapy on demand, on the settings and pressures that are prescribed. According to several health studies, not all patients who require long-term oxygen therapy follow their treatments rigorously. Many of these patients complain about the lack of compliance, or difficulty in using the concentrators at home (during the day & sleep). However, patients with COPD should understand that the benefits of using oxygen therapy outweigh these disadvantages, and it is crucial to follow the prescribed treatment. Buying an oxygen machine for home use is not that expensive, and such devices are covered by most major insurers. – Improved quality of your life- with proper oxygen treatment you will be able to enjoy life to its fullest. You will improve your mood, and you will sleep much better. Slowly, dizziness, fatigue, and symptoms of depression will disappear because now your organs receive the right amount of quality oxygen and you look and feel much better. – Reduces risk of hypoxemia (common in people with COPD, it is when your blood does not contain the necessary amount of oxygen). The main symptoms of hypoxemia include shortness of breath, confusion, wheezing and even our skin might turn bluish. When you get enough pure grade oxygen in our system, you can truly reduce these symptoms even after one month of continuous therapy. Before buying an oxygen machine for home use, make sure to consult with your physician. He can appoint to you the exact type and brand of device that you should purchase. Your doctor is also the one who will calibrate your machine, ensuring you receive oxygen therapy at required pressures. It’s interesting to read about some of the differences between oxygen tanks and concentrators. I didn’t realize that a concentrate could take the air around it and concentrate it. I think this could be very beneficial to my mom because she doesn’t like having to replace her tanks so looking for a good oxygen concentrator for her and her home could be very beneficial. been a blessing for me,sleep better,more ambitious, and never copd attack during the night.wake up refreshed, lots of pep during the day . oxygen leval steady and 98. I wake up “drop dead” tired in the mornings. The room is sealed, ducted air conditioning vent and 3 people using the room for sleeping. Would it be safe for me to have a Home Oxygen Concentrator? Yes you are able to use a home Oxygen Concentrator without any problem. Do oxygen concentrators lower the amount of available oxygen to others? Since my partner has had his concentrator I have suffered a constant headache and wondered if this was why? Absolutely not. The concentrator takes room air and separates pure oxygen from other chemicals found in room air. The pure oxygen is delivered to the user and other elements released back into the air. Remember room air is only 21% pure oxygen at sea levels. This decreases with altitude. I AM FROM INDIA . PLEASE SEND YOUR PRODUCT DETAILS. Visit our website at http://www.SleepRestfully.com everything is there for your review.